Previously, it had been standard protocol for US military leaders to only hint at the possibility of a full-blown attack, stating diplomatically for example that “all the options are on the table,” rather specifically mentioning the last-resort military option. Explicitly mentioning a military response to Iran’s ongoing nuclear program, which Tehran claims is solely for civilian energy purposes, falls short of Obama’s noble pledge to “sit down and talk” with America’s enemies, as opposed to relying on the last-resort option of military action that largely defined the Bush years. As things now stand, the world continues to hold its breath, hoping the latest round of economic sanctions against Iran will compel the Islamic Republic to fully co-operate with the International Atomic Energy Agency (IAEA). 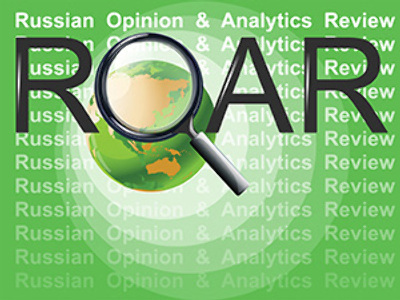 In June, the United Nations imposed the harshest round of sanctions on Iran yet, targeting Iranian banks and export businesses; the EU and the United States unilaterally moved to block oil and gas investment in the country. But Iran shows no sign of backing down. Yet, as the Russian president confirmed recently, Iran is not simply interested in the energy needs of its population. Last month, Russian President Dmitry Medvedev warned the world that Iran is "moving closer" to having the potential to create nuclear weapons. "Iran is moving closer to possessing the potential which in principle could be used for the creation of nuclear weapons," President Medvedev told a meeting of ambassadors in Moscow. 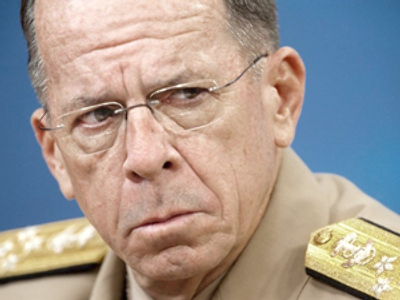 Commencing a military operation against Iran would open a hornets’ nest of grave problems in the Middle East, as Admiral Mullen was quick to mention. This was not the first time that Obama’s leading military advisor provided slightly ambiguous comments as to how America would respond to the threat of Iran possibly joining the nuclear club. In February, during a news conference at the US Embassy in Tel Aviv, Mullen said he was opposed to Iran’s acquisition of nuclear weapons, while repeating his warning of the “unintended consequences” of a military strike. Indeed, even the suggestion of a military attack was greeted in Tehran with hostility and saber-rattling. 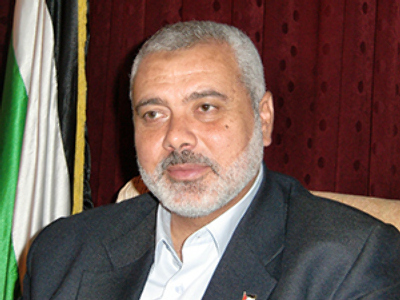 "If the Americans make the slightest mistake, the security of the region will be endangered. Security in the Persian Gulf should be for all or none," Yadollah Javani, the deputy head of the elite Revolutionary Guards, told the official IRNA news agency on Sunday. "The Persian Gulf is a strategic region and if it is endangered they (Americans) will suffer losses and our response will be firm,” Javani added. "We will defend ourselves if America or Israel resort to any hostile measures against our vital values." Also on Sunday, Iran's envoy to the United Nations warned that the Islamic Republic would set Tel Aviv ablaze if Israel attacks it. "If the Zionist regime commits the slightest aggression against Iranian soil, we will set the entire war front and Tel Aviv on fire," Mohammad Khazai said, as quoted by Kashmar, the Farhang-e Ashti daily. 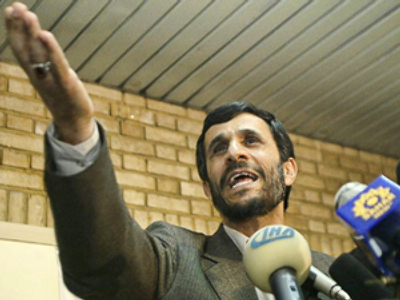 Meanwhile, Iranian President Ahmadinejad made an impassioned plea to Barack Obama, challenging him on Monday to a televised debate to determine who has the best solutions for the world's problems. The proposal by Ahmadinejad is an interesting one, especially since Barack Obama regularly pledged during his presidential campaign to “sit down and talk” with America’s enemies, as opposed to implementing the “option of last resort” more popular with the neocon hawks of the Bush presidency. Yet in the unlikely event that such a debate would occur (which could possibly attract better television ratings than the World Cup), there are several nagging factors that Ahmadinejad would use to his possible advantage, including the assertion that Israel has a nuclear weapons capability. Analysts are practically unanimous in the belief that Israel has no less than 200 nuclear warheads in its arsenal, including submarine-launched nuclear cruise missiles. Iran’s predictable counterargument is one commonly heard in any school playground: “why is he allowed to do that, but we are not?” A very simple question that has no simple answer, at least not one that will be acceptable to Tehran in any case. Meanwhile, the Islamic Republic firmly believes, especially with the anticlimactic demise of Iraq next door, that it is an influential regional power that should not be restrained from developing its nuclear capabilities. After all, there are already nine nuclear powers on the planet, Tehran argues, including punchy Pakistan, which borders Iran in the southern part of the country. Such an ambitious platform, forwarded by none other than the Nobel Peace Prize winner, gives the United States more of an argument for discouraging other countries, including Iran, from letting the nuclear genie out of the bottle. In other words, do as we say, not as we do. Whether the world will ever go “nuke-free,” well, that is an altogether different question. So if – God forbid – the latest round of sanctions fail to curb Iran’s nuclear ambitions and the decision to open yet another military front in the Middle East is decided, what can we expect? Certainly nothing good, to say the least. First, it is doubtful that a full-blown military campaign will destroy all of Iran’s nuclear research facilities, while it would only intensify its quest for nuclear power. “Even a successful military strike against Iran's nuclear facilities would delay Iran's program by only a few years, and it would almost certainly harden Tehran's determination to go nuclear,” wrote James A. Lindsay and Ray Takeyh in the March/April issue of Foreign Affairs political journal. Finally, it needs to be remembered that the Iran of 2010 is not the Iraq of 2003: Iran possesses an impressive range of ground and air resources. 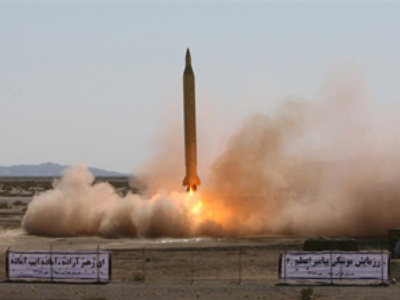 In a 2007 parade to commemorate the anniversary of the 1980-88 Iran-Iraq War, Tehran put on display its Shahab 3 missile, saying it could travel 2,000 km – a range long enough to hit Israel and US bases in the region. 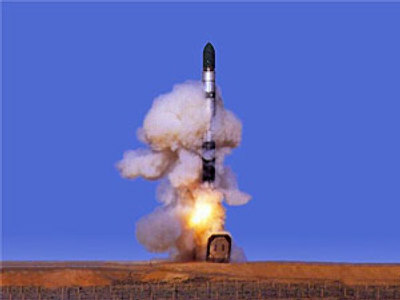 Another missile, the Ghadr 1, can reach targets up to 1,800 km away. In November 2008, Iran said it had test-fired a Sejjil missile with a range of close to 2,000 km. But a full-blown war in the Middle East would have repercussions not just for the immediate region, but for the entire planet. It does not take a very vivid imagination – considering the vast arsenal of weapons that such a military adventure would demand – to foresee the horrible environmental consequences that such a decision would inflict around the world. 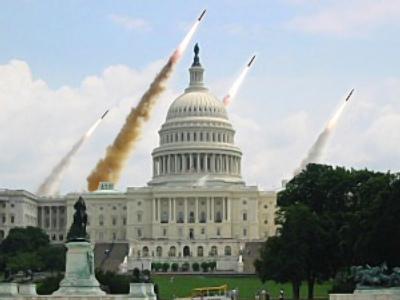 This underlines the paradox of modern military power: the more powerful the weapons of mass destruction become, the more national governments must restrain themselves from implementing their use unless they want to wish to wipe out all life as we know it. In the end, either war will become extinct or mankind – it is as simple as that. The current debate on Iran will test mankind’s ability to use judgment in deciding which of the two evils is greater: allowing one’s avowed enemy to (possibly) arm himself with the deadliest weapons ever created, or unleash a war the likes of which the planet may never recover from. After all, Iran may cool its heels when (if) it ever acquires nuclear weapons. Or it may not. But the latter scenario would mean nothing less than national suicide, which not even Ahmadinejad would be willing to accept. Fortunately, there is a third option: We can hope that the present sanctions against Iran will work to erode the power base of the present regime, thus paving the way for an Iranian leader the West can work with. Ironically, the West had exactly that man with Mohammad Khatami, an Iranian scholar and liberal-minded politician who served as the fifth President of Iran from August 2, 1997 to August 3, 2005. Khatami was a peace-loving leader who pushed for a “Dialogue amongst Civilizations”. The United Nations declared the year 2001 as the Year of Dialogue Among Civilizations, on Khatami's suggestion. Since the United States must take a large part of the blame for the rise of Iran's hawkish President Ahmadinejad, who rose to power on a wave of anti-American fervor following the very unpopular and very unnecessary War in Iraq, it seems that the United States must “sleep in the bed it made” and find the most peaceful and reasonable way of disarming Ahmadinejad. In the end, it has to be a decision we can all live with.